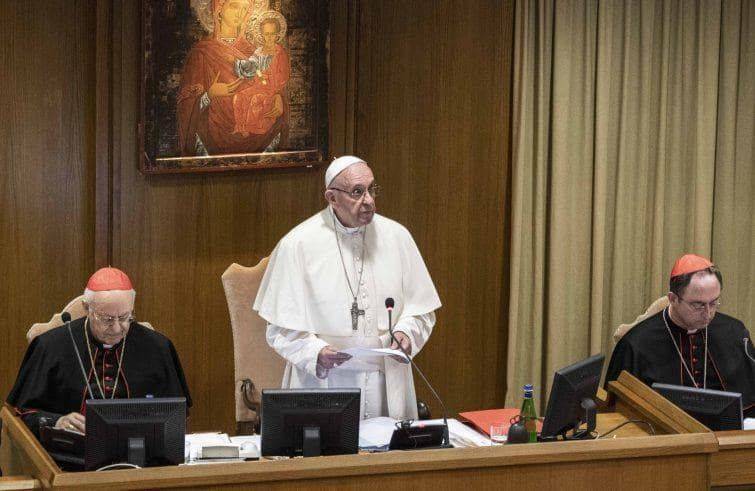 With the post-Synod exhortation Christus Vivit, Pope Francis finally issued a document to wrap up the discussions of the Synod on Young People. Unlike Amoris Laetitia, Christus Vivit is not a document that leaves open issues. It is rather a snapshot of reality, that provides some general pragmatic suggestions and provide many examples taken from the Gospels and saints. The document bears indeed a critical flaw: it is not clear what Church it is referring to. Many passages of the document seem to be unjust toward a Church that is, in fact, alive, present, and reaches out to young people. This Church has been the protagonist of some extraordinary stories of evangelization, especially in the years that followed the Second Vatican Council, but even before that. Pope Francis knew this Church well and admired it. In particular, the document calls for the establishment of a “popular youth ministry”. This mere phrasing appears to be profoundly unfair. The popular youth ministry has– according to the document – “a different style, schedule, pace, and method”. This youth ministry is “broader and more flexible” and it goes out to those places where real young people are active, and fosters the natural leadership qualities and the charisms sown by the Holy Spirit. In the end, the document reads, “it tries to avoid imposing obstacles, rules, controls and obligatory structures on these young believers who are natural leaders in their neighborhoods and in other settings”. This description gives the image of a Church closed in itself, that not only is unwelcoming to youth, but it is even unable to reach out to them. This is the Church of “do not”, of the moral precepts. It is not a Church that accompanies young people. 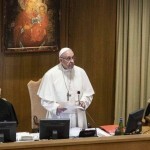 Pope Francis finally underscores that “Rather than being too concerned with communicating a great deal of doctrine, let us first try to awaken and consolidate the great experiences that sustain the Christian life”. In some cases, it could be. However, there are many clues that testify how the general picture is totally different. St. John Paul II created the “World Youth Day,” that involves millions of young people and became a meeting that cannot be missed. This meeting found new strength with Benedict XVI. In 2005, Benedict XVI included in the World Youth Day schedule the Eucharistic adoration. It was a way to put Christ again at the center, rather than the event itself. Not by chance, the moment of adoration is now the most felt and awaited of World Youth Days, despite Pope Francis’ great charism. Oddly, the first draft of the Synod 2018 final document did not even mention St. John Paul II initially. Polish bishops strongly asked for that, and in the end St. John Paul II was at least mentioned in the text. In general terms, for years youth pastoral service is working to reach out to young people and the places they go to. They try to use a renewed language without losing sight of the hard issues. Many ecclesial movements that sprung after the Second Vatican Council have been hard working for that. It is no mystery that the Neocatechumenal Way is still able to arouse vocations among young people and a missionary spirit. To name another example, the Focolare movement is still able to bring together Catholics, Christians of other confessions, people belonging to other religious beliefs and even people with no religious denomination, around the idea of unity. These are just two examples, that Pope Francis knows well: he was in Loppiano, to visit the city of the Focolare movement, and he celebrated the 50th anniversary of the Neocatechumenal Way in Rome. Pope Francis also paid homage in Turin to St. John Bosco and along with him to a series of social saints from the end of 19th century, who developed a totally new experience of youth pastoral. Salesian oratories are still places of gathering for young people. The model has been imitated and replicated all over the world, according to a modus operandi that attracts and supports youth and does not frame them in pre-established doctrinal schemes. In Italy, there is at least one clue that young people are looking for radical stances on faith issues: the Ten Commandments meetings held by Fr. Fabio Rosini, an extraordinary preacher that is strongly radical and yet attracts crowds. There are many other examples. Everywhere in the world, the Church works to reach out to young people and at the same time to proclaim the word of God in a creative way. This creativity is nurtured in education and empathy. Not by chance, Peter Tabichi, a Kenyan friar, won the Global Teacher Prize as the best teacher in the world. Everywhere, Catholic Schools are considered prestigious, so much so that even not Catholics choose them for the education of their children. Catholic schools are a place where youth can experience faith by attraction. And they can even convert. It was recounted in Barcelona, in 2017, during a symposium on youth pastoral in Europe organized by the Council of European Bishops’ Conferences. It is undeniable that there are also different and worse situations. Not everything is done properly. It is also undeniable that this Church’s attitude of not reaching out described in the post-Synod exhortation is unfair to the daily work of so many. The issue is even deeper and was already perceivable in the working documents of Synods 2014 and 2015: there is a need for parish priests. This issue is now sidelined. Beyond the specific formation on particular topics, the well-educated parish priest forges the community. The parish priests teach the reasons for the Christian life and why it is possible to live joyfully according to those reasons. The parish priest is the reference point of the community: he consecrates the Eucharist, the center of the Church. In the end, it seems that all the attention is set outside. The belief is that, during these years, the Church has failed in arousing new vocations and educate parish priests able to lead their communities with common sense and smartly. These are two non-trivial qualities. One can be a good priest, even a great theologian, but this does not automatically guarantee he will be a good parish priest. The issue of the parish priest formation is never out of date. The post-synod document indulges on the formation of community leaders, following the de-clericalizing trend. However, de-clericalizing does not simply mean to eliminate priests from boards. It rather means to try to prevent a mentality that elevates the priestly functions above the priest’s human quality. The Church is then depicted as a place were priests are marginalized, parish priests not taken into account and where the youth must be listened to. The issue of listening is also a double-edged sword: how many young people feel not heard because Churchmen do not address the great issues? And to what extent does the absolutization of the concept of listening leads to an absence of real messages? The longstanding missionary Fr. Piero Gheddo identified the lack of a message on Christ at the center of the decrease in missionary vocations. His reflection was stimulated by the shutdown of a missionary magazine. This problem can be extended to all the Church. Not by chance, for the first time in ten years, the number of priests has decreased. There are no vocations because there is not a reason to have a vocation. If everything is about listening, there is no truth worthy to commit for. Christus vivit seems to be a document that, in the end, does not tackle the grassroots problems. It describes a non-existent, or partially existent, Church. Everybody is charged with something, but there are no clues to real solutions. The exhortation bears all the limits of the 2018 Synod. And, perhaps, it already says something of how the 2019 Synod on Pan-Amazonia will be.